The use of drones has generally been synonymous with controversial globalised warfare, but falling costs and higher performance are now making them increasingly useful for conservation and environmental organisations. In the US, a non-profit group called Conservation Drones is working with manufacturers to scale up production, making drones more affordable for environmental groups and conservation scientists, with results that have already benefited Australian research groups. 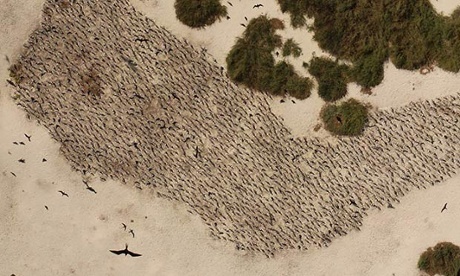 The founding director of Conservation Drones, Lian Pin Koh, told Guardian Australia the drones were a “game changer” that would “soon become a standard item in the toolbox”. Until now the effective use of drones for conservation purposes has been limited largely by their range and high cost.